Then a window popped open and said that I had to repair the disk with the Disk Utility in Recovery Mode (cmd+R immediately after restarting the Mac). But when I do this, it doesn't find an error, so when you press the 'repair disk' and you check the disk in single mode once again, the error isn't changed. Here's a beginner's guide to the command line. 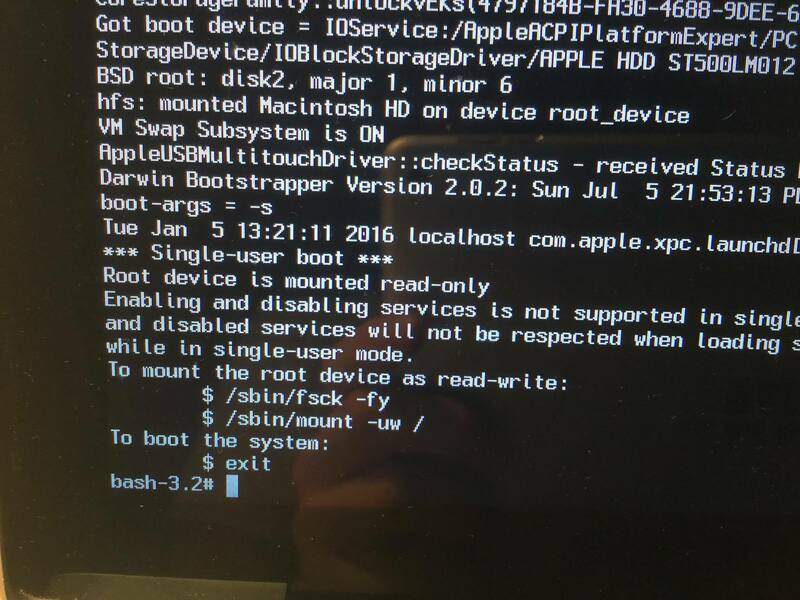 The single user mode is also like looking in as root - the first user that owns all of the computer historically from a unix perspective. the $ indicates a prompt where you, the human user can type commands. The system is telling you how to prepare the drive for running the repair command. Note, that every space, every punctuation is exact and changing any one item may run an entirely different command. If the fsck command has any errors, you can and should run it again with the same command up to three times in a row or more in some rare cases. To get out of that screen, you could halt the Mac or type exit to resume the normal start up process. It looks like your OS is not the same version as the Recovery partition, so you have to repair the disk manually. Power on your Mac and boot into Single User Mode by pressing and holding cmdS until you see a black screen with status messages. This should show you the errors you saw before. Not the answer you're looking for? 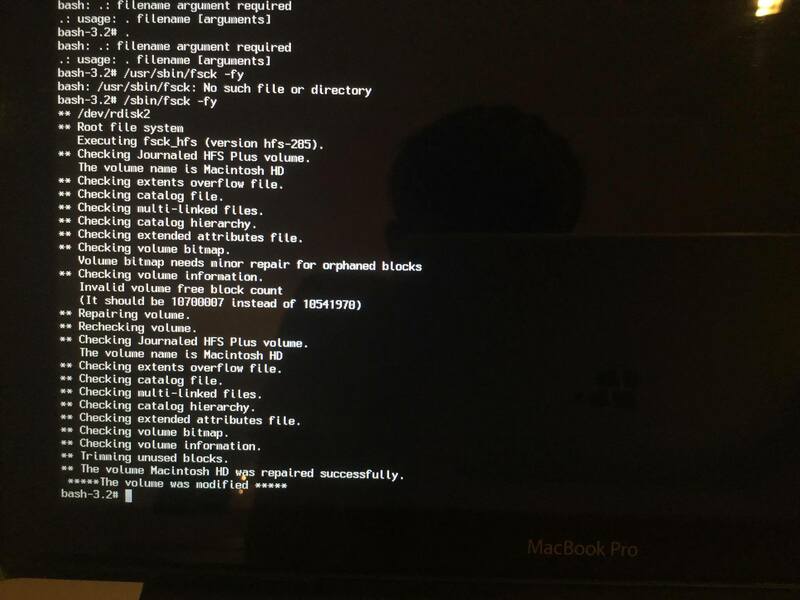 Browse other questions tagged macos yosemite hard-drive disk-utility recovery .